Getting an annual flu shot is the best way to minimize your risk of contracting the flu. January is not too late to vaccinate. The peak of the flu season is usually late January through April with the peak in the February and March period. Live or work in the Chantilly area? Visit HealthSmartVaccines’ clinic for your flu shot and all adult vaccine needs including travel vaccines. If you plan to fly this winter, especially longer and international flights, it is especially important to have a flu shot. Remember, there are two different vaccines available this year and for the best protection, be sure you receive the vaccine that protects against four different strains of flu. HealthSmartVaccines only offers the better vaccine. Our modern and convenient immunization clinic offers the vaccines you need to stay healthy and protected against preventable contagious diseases at home and on the road. We also offer travel insurance through Travel Guard, an AIG company. A minimal investment in travel protection may protect both your health and your wallet. Why You Should Get It: The flu can vary in intensity and may affect people in different ways. Millions of people contract it every year, and in serious cases, it can require hospitalization and even cause death. Getting a flu shot is the single best way to avoid contracting the illness. Between 35,000 and 40,000 Americans die of the flu every year. 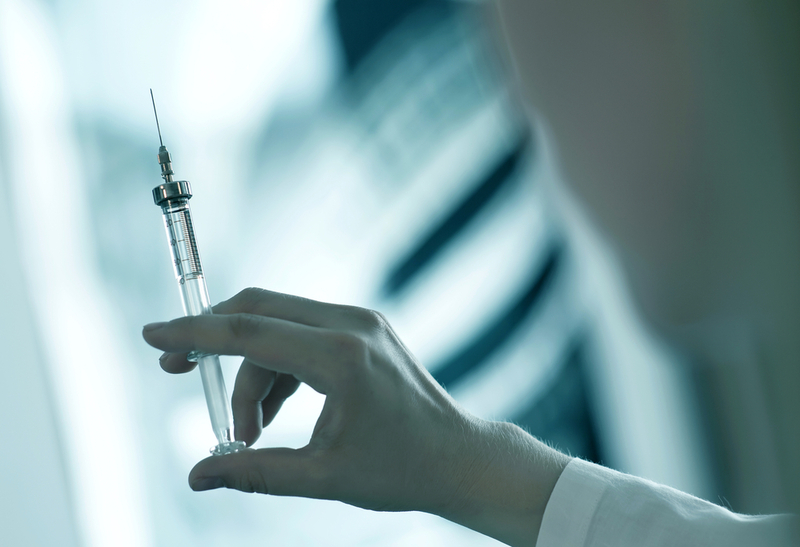 How The Vaccine Works: Over the course of the two weeks following your shot, antibodies will develop in response to fight the small amount of viruses that are present in the vaccine. The seasonal flu vaccine prepares your body to fight four different types of influenza viruses. Who Should Get It: For children six months to age 17, contact your pediatrician or family physician. Most adults between age 18 and 64 should receive an annual flu shot. Adults 65 and older should receive a special high dose flu shot designed especially for this age group. If you have any doubts or concerns, call HealthSmartVaccines or consult with your personal physician. Pregnancy: It is recommended that women who are pregnant or are considering becoming pregnant should receive a flu shot. Are there some people who should not receive a flu shot? Yes If you have ever had a reaction to the flu or any vaccine, consult with your physician. If you are allergic to eggs or taking medications that may affect your immune system, consult with your physician. How Often You Should Go: It’s recommended that individuals get vaccinated annually, because the viruses are constantly changing. The vaccination is updated regularly, and you need the latest shot for the most thorough protection. To schedule your flu vaccine with HealthSmartVaccines, call (703) 961-0733. You can also visit the center’s website to learn more about their additional services.